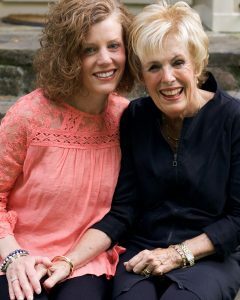 My literary agent, Blythe Daniel, and her mother have written a book that addresses mother/daughter relationships. Dr. Helen McIntosh didn’t have the luxury of mostly loving moments with her mother. Her mother battled anxiety, anger, and alcoholism, while Helen struggled to fend off her verbal abuse. After Helen became a Doctor of Counseling Psychology, she helped other women through toxic mother-daughter relationships. After her own daughter Blythe grew up and left home, Helen longed to maintain a good relationship with her. Today, Helen and Blythe, mother of two daughters, have a close and healthy mother-daughter bond, but it came through repairs. 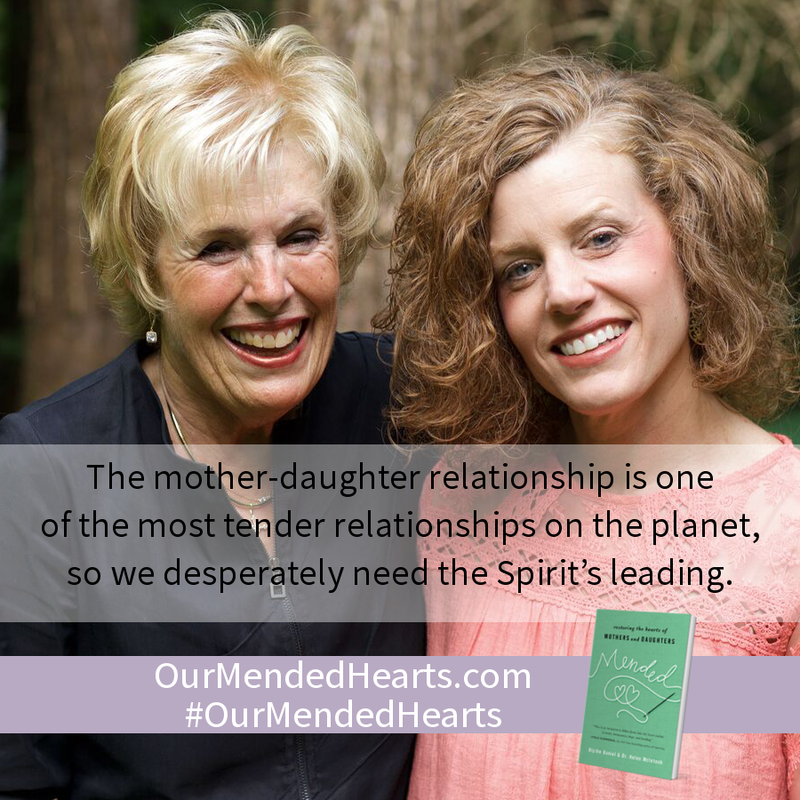 In Mended: Restoring the Hearts of Mothers and Daughters, they share how they’ve built, guarded, and renewed a relationship centered around talking, respecting, and listening. “No mom or daughter wants to walk a dark path of uncertainty, a strained relationship, or a gulf between you that feels too difficult for you to cross,” says Blythe, but she knows how common unstable and unfinished relationships are. 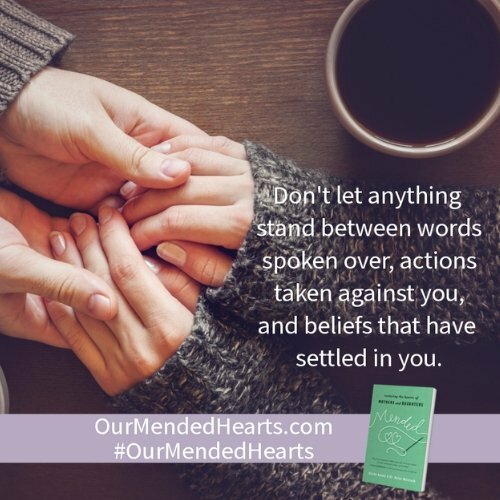 Mended walks readers through the steps to take towards reconciliation and includes specific conversations that guide mothers and daughters towards openness, grace-filled confrontation and restoration. Helen, why did you feel called to write this book? There are just so many broken mother-daughter relationships in my world, in contrast to my great relationship with Blythe. Blythe had asked me for years about writing a book together about our relationship. But, my heart was to share how to repair as well as sharing about our good relationship. My hope is that Mended will be a reference book for mothers or daughters seeking to be “repairers of the breach” (Isa 58:12). It contains basic but crucial relational principles, statements that can be used to make things better, and strategic prayers for breakthrough…so they can be MENDED! I think it’s the only book I know of that contains actual language for restoration. We also cover the repeating of family patterns in the generations behind us. Blythe, what inspired you to write on this important topic? This is what inspires me. To be a part of someone gaining a relationship with their mom – there is nothing better! I am so grateful that my editor reached out to me to inquire about a mom/daughter book and that ours was one that you all wanted! It excited us greatly and it provided an opportunity for us to grow as mother and daughter in this (we couldn’t believe that we didn’t have any squabbles about who should write what in the book or that we didn’t hit a snag with something the other wrote in the manuscript) and we are inspired to help share the deeper relationship with Christ that a mom or daughter can have when she walks through our book – that is our ultimate goal and hope. What do you hope to see happen through those who read this book? My vision, and I believe Mom’s is as well, is to see this book penetrate the hearts of those who are drawn to change, those who are willing to make sacrifices and work on their relationship with their mom. We know it takes work – all relationships do! But my vision is that we would cast a wide net of those to speak to through the book and that the return, like in the biblical story of Jesus tossing out the nets, would be to catch hearts that are ready to give up or who do not currently believe that this can happen for them. To whom do you feel this book speaks? – Moms who don’t know why they can’t relate to their daughter (or how to) and want help. – Moms and daughters who are in crisis: they have cut off communication with each other or they argue a lot and don’t see a way out. What do you say to those mothers and daughters who have a strained relationship? Restoration with people was never meant to fill us – only God can do that. But we are built for relationships, and mothers and daughters are one of the most vulnerable relationships. Sometimes we don’t get the mending we hope for but we can sure attempt it. There is nothing lost but pride when we do so. We also want to show mothers and daughters they don’t have to repeat the patterns in front of them when it comes to how they were mothered. They can set things differently for their families and future generations. There is hope for you regardless of whether your mother/daughter comes closer to you. You can be okay even if your relationship does not get repaired. Our heart is to lead others to God who can show them what to do – we are hopefully guides who have done the work between a mother and daughter and still do – and we want to inspire others to have what we know is possible. Blythe Daniel is a literary agent and marketer with 20 plus years of experience in publishing. 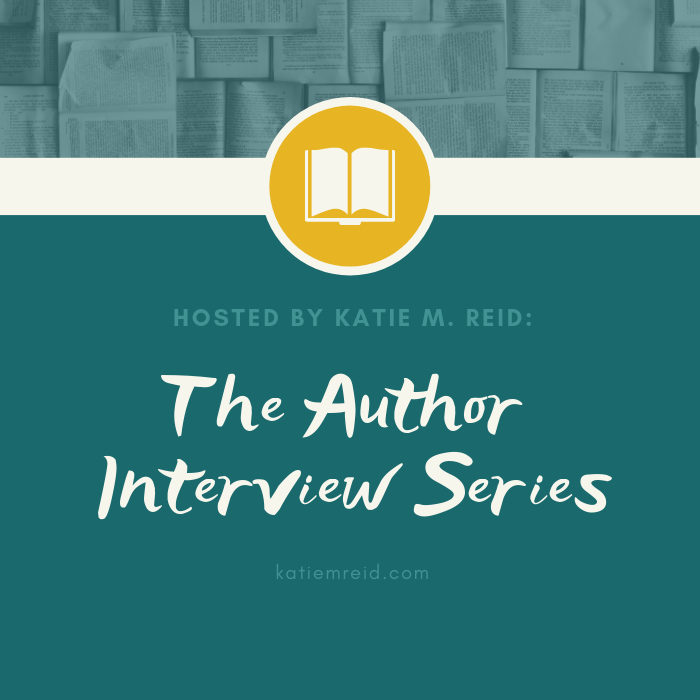 She has written for Christian Retailing and Focus on the Family, links bloggers with readers through BlogAbout, and is a frequent podcast guest. The daughter of Dr. Helen McIntosh, she lives in Colorado with her husband and three children. Dr. Helen McIntosh (EdD, Counseling Psychology) is a counselor, speaker, educator, and author of Messages to Myself: Overcoming a Distorted Self-Image and Eric, Jose & The Peace Rug®. Her work has appeared in Guideposts, ParentLife, and HomeLife magazines. She resides in Georgia with her husband Jim. They have two children and five grandchildren. Restoration is so needed in our relationships. This is such a beautiful example to mothers and daughters and I know God will use it in amazing ways!